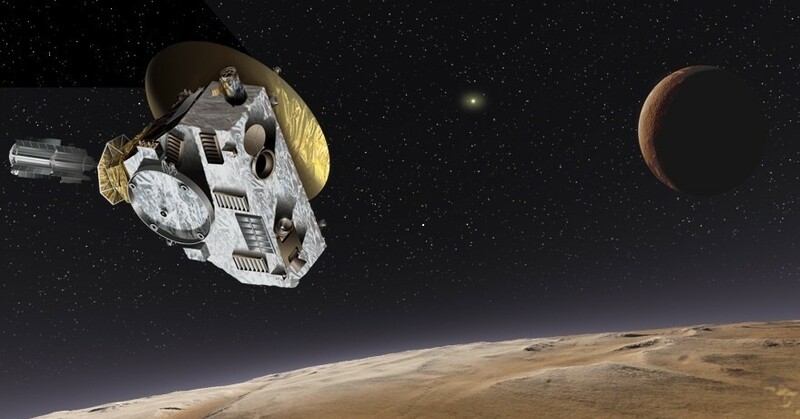 Since the successful Pluto flyby on July 14th, the New Horizons spacecraft prepares for its next mission to further explore the Kuiper Belt. NASA’s primary candidate for the spacecraft’s next encounter is 2014 MU69, known as a Kuiper Belt object (KBO). Discovered in 2014 by the Hubble Space Telescope, the object is too small for ground based telescopes to detect, and thus making it an interesting candidate for the New Horizons mission. It opens up opportunity to make more observations about the solar system, especially if they appear impossible with earth-bound technology. An animated version of the discovery images captured by Hubble showing 2014 MU69 (green circle) moving at 10-minute intervals. 2014 MU69, nicknamed PT1 (Potential Target 1), is one of two candidates for the New Horizon’s spacecraft. Only after extensive research will MU69 be confirmed as the targeted object of interest. If approved, the mission will begin late October into early November, when the New Horizons spacecraft should preform multiple maneuvers to set course to 2014 MU69. The expected date of arrival, January 1st, 2019, would certainly grace us into the New Year with high hopes for scientific adventure. The Kuiper Belt poses as an intriguing place to study. Nearly 50 AU from the Sun, the Kuiper belt, compared to the Asteroid Belt between Mars and Jupiter, is 20 times as wide and 20 to 200 times as massive. 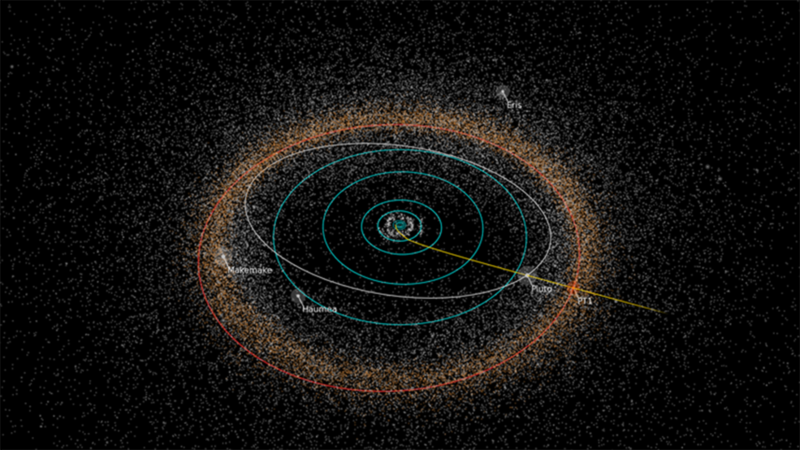 The small bodies within the Kuiper Belt act as raw evidence for the makeup of the younger solar system, since the debris field is composed of the “leftovers” from solar system formation. It’s incredible to propose the next steps for the New Horizons mission while still awaiting massive chucks of data from the Pluto flyby. Science is always moving forward. Astronomy, Kuiper Belt, new horizons, pluto. Bookmark.